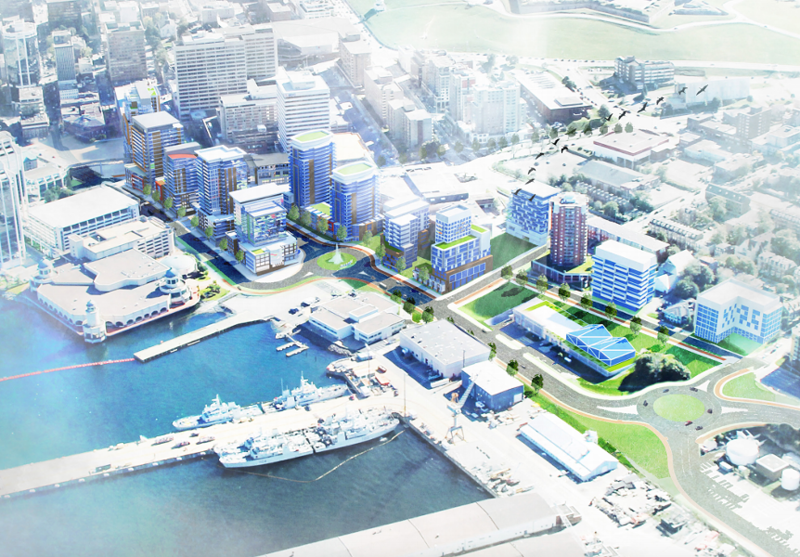 A rendering for the redeveloped Cogswell neighbourhood (not pictured, the energy system heating all those new buildings). 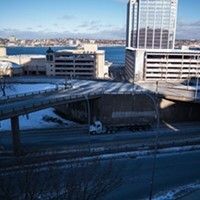 The city’s plans for the Cogswell Interchange redevelopment are centered on creating a source of renewable energy out of the wastewater coming from the nearby sewage treatment plant, though it remains unclear whether this will attract or deter potential buyers. 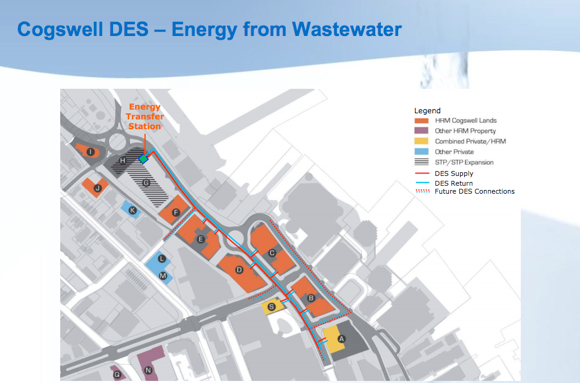 The energy in the wastewater would be converted into thermal energy at a transfer station located in a treatment plant run by Halifax Water, then distributed to all buildings in the area through insulated pipes, creating what’s known as a District Energy System. Being fuelled by a renewable energy source, a DES of this kind would be the most environmentally friendly choice, with the lowest amounts of greenhouse gas emissions and highest energy efficiency rate compared to conventional natural gas, electricity or heating oil systems. Aside from being the greenest option, a 2016 report to members of the city’s Environment and Sustainability Standing Committee found that a DES in the Cogswell area would be “a positive business case” as well since it was the most cost-effective option. 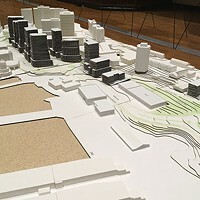 Though council has endorsed these plans, there are varying opinions regarding whether or not potential developers will see a requirement for implementing a DES in any new building as an asset. Bob Bjerke, the city’s chief of planning, endorses the project, but says at the end of the day it comes down to the specifics of the data in the business plan, which is not yet complete. “It really depends on the business case, and how will the numbers work for a business looking at it,” Bjerke says. 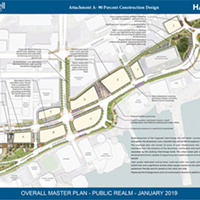 Waye Mason, city councillor for Halifax South Downtown, says he thinks a DES in the Cogswell area will help make the property more attractive to developers as well as future tenants. Mason points out that if a DES is in place, all new buildings will be constructed in accordance with certain energy efficiency standards, making them “really efficient, cheap to operate, therefore cheap to lease, with a really cost-effective heating and cooling system making them even more competitive. “Big buildings with offices compete with older buildings and buildings in business parks, and we have study after study showing the lease share of operating costs, including energy, is lower in new buildings,” he says. Like Mason, Bjerke sees the predictability and stability of the DES’s cost structure as an advantage for potential buyers. 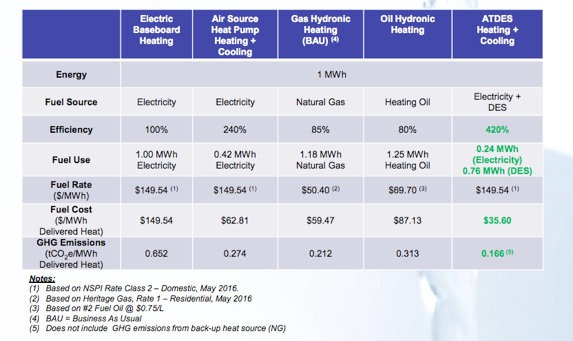 “Once you’re going into it, you have a fairly good idea of what the overall price structure looks like, which you don’t necessarily have with other heat sources,” he says. For Bjerke, capitalizing on the potential energy of the city’s sewage wastewater is a key part of the plan. Being able to get a return on energy that’s right now not being used will make “municipal operations more financially viable,” he says.